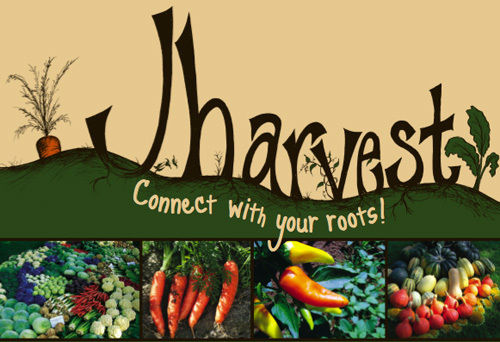 I’m judging at the Jharvest (Jewish CSA) launch party potluck tomorrow w/ Oxbow Farm. Please come! Do you know about JHarvest? It’s a local Jewish community CSA (community supported agriculture) project, one of many around the country sparked by Hazon. Tomorrow at UW Hillel, 4745 17th Ave NE Seattle, WA, we’re having a potluck lunch to launch the start of the season. I’ll be judging dishes in the best use of local ingredients category, so make something delicious and head on over. Sunday, March 21, 2010 at 12:00pm until 1:30pm. Everyone’s welcome. I’ve written before about the link between Judaism and sustainable food — that, in essence, the idea of keeping kosher is largely about eating in a meaningful and thoughtful way, and that there’s a lot of basis in Jewish culture for connecting with land and working to keep human impact on Earth more sustainable. You don’t have to be religious, by typical definitions of that word, to appreciate a cultural basis for these things. CSA stands for Community Supported Agriculture, where members commit to buying a share to Oxbow farm for the growing season and pick up a weekly box of fresh, organic produce at Hillel at The University of Washington. Registration forms will be available in late March. Get organic, locally-grown vegetables delivered in time for Shabbat – all Summer long! Credit to Jharvest for the image.